Thanks so much to Flatiron Books for these copies! Jessica and I are huge fans of Harper. See our thoughts on this new standalone. My third Harper and still in love with her writing. How do you describe such a beautifully written book? One key word: Atmospheric. 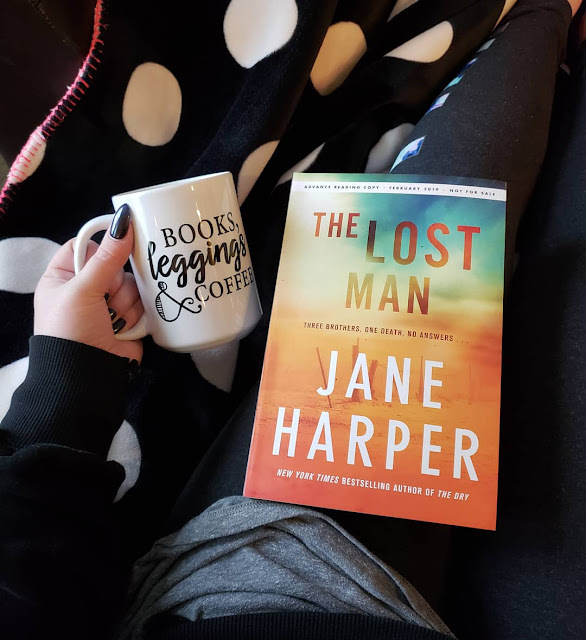 As an avid thriller reader I sometimes get caught up in trying to figure out the twist or looking for clues as to the why behind the missing, the murdered or the crazy. With this read, I completely lost even trying to figure anything out and just became involved in this family, the outback life and everything in between. This has a fairly serious feel from the get go. Two brothers find their other brother dead and they have no idea how this could have possibly happened. In the Outback, you have to be prepared at all times so that the elements won't get to you. Harper makes you feel like you're right there in Australia with this family. I felt hot, I felt the red dirt on my clothes and I felt for the members of this family. Sometimes it takes a horrible act for everything else to fall into place. When things were revealed right at the very end, I was surprised but not surprised... make sense? There's no big gut twist of a story line that blows you backwards and makes your hair fly. And yet, while I love it when a book does that for me, the way the author brings about this story, you absolutely do not need that to feel fully satisfied. 10/10 will continue to read anything Harper puts out. 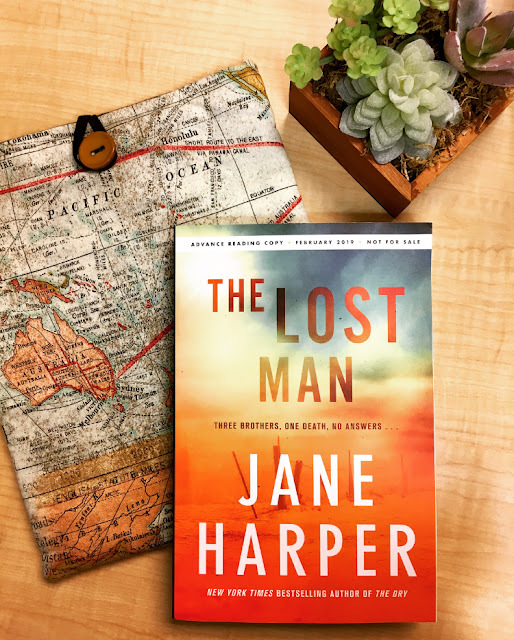 The Aaron Falk series has been incredible with THE DRY and FORCE OF NATURE, but I was excited to see that Jane Harper was coming out with a new standalone novel. I don't know how she does it, but each book seems to get better and better! Harper does not disappoint with her newest release THE LOST MAN. 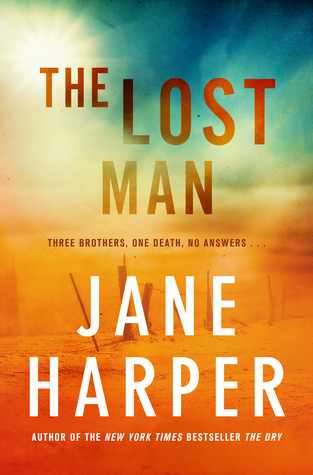 In following the rest of Harper's books, this is incredible atmospheric. It still blows me away at how effortlessly she sets the scene for us and drops us right in the middle of everything. I've never been to Australia, but I feel like I could perfectly picture everything she described to us. I don't want to give away anything with this mystery but I will say that this is by far my favorite of her novels. Always character driven, we are give such vivid characterizations and the cast is kept small. When it's a smaller pool of characters you find yourself suspecting everyone and doubting yourself on the ending. This isn't one of those crazy and twisty thrillers, but rather a suspense building read. A police procedural that doesn't follow the typical outline we have all come to know, and it was refreshing. I would highly recommend picking up any of Jane Harper's books, but THE LOST MAN is perfect for those not wanting to get into a series. The characters, mesmerizing writing, and an engrossing and emotional read - I would suggest picking this one up as soon as you can!